An award just as unique as your recipient! The Anemone Art Glass Globe Award features a clear glass sphere filled with blue and white striped sea anemone like plums. 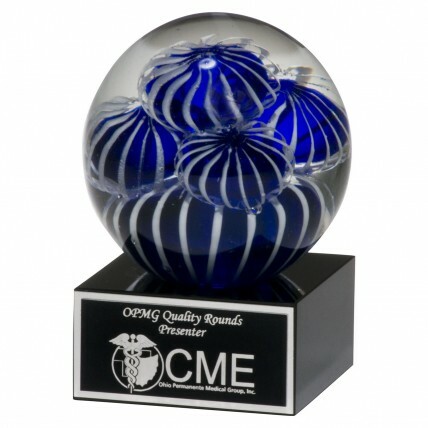 This elegant and lighthearted award sports your free and personalized message on a solid black glass base. Make sure to inscribe this award with a personal message your recipient will enjoy reading for years to come!